After several setbacks, former UFC lightweight and welterweight champion BJ Penn (pictured) will finally make his featherweight debut … hopefully. On Monday, it was announced Penn will headline UFC Fight Night Phoenix against up-and-coming Yair Rodriguez. This is an interesting pairing since they both train out of Jackson-Wink MMA in Albuquerque. Penn, 37, came out of retirement for the third time in January. He initially called it quits after getting blasted by Nick Diaz at UFC 137 in October 2011. The Hawaiian decided to return to the cage 14 months later, but was once again was steamrolled, this time at the hands of contender Rory MacDonald. Penn was slated to return to action in a featherweight fight with Cole Miller, then Dennis Siver at UFC 199, but was pulled from the bout after flunking an out-of-competition drug test for illegal IV use. 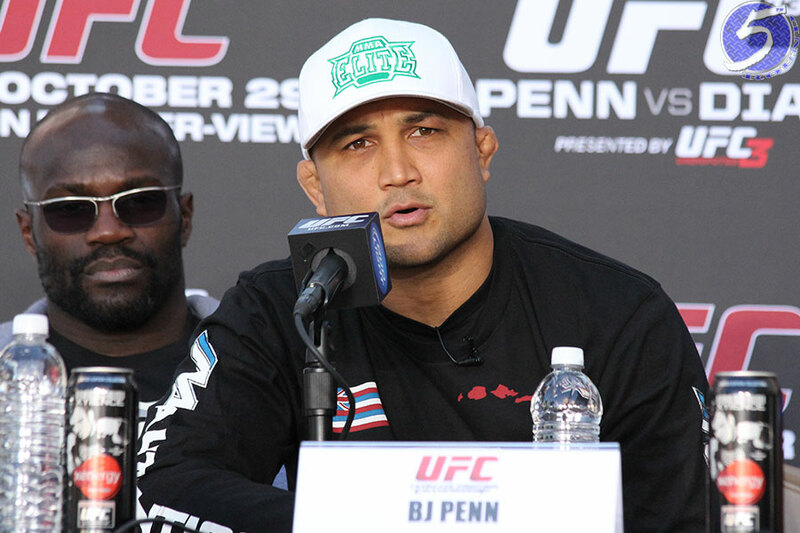 Penn was issued a six-month suspension and assigned to Ricardo Lamas at UFC Fight Night 97. However, Penn was forced to pull out of last month’s bout just 11 days before showtime with an undisclosed injury. Rodriguez has rattled off seven consecutive victories, most recently taking a split decision over Alex Caceres in August. The 24-year-old is one of MMA’s most dynamic strikers. Talking Stick Resort Arena in Phoenix hosts the January 15 event.